Since I started traveling way back 2015, I was able to experience plenty of things, meet new friends, tried different kinds of foods, experience other cultures, etc.. Every time I will go back home from my travels, I am so FULL of stories and experiences and always excited to share it to my family and friends. Traveling has taught me a LOT. 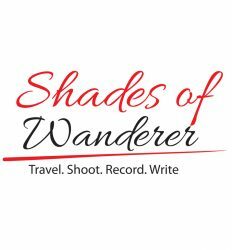 And because of that, I decided to create this blog so I can also share these stories to other travelers out there, and of course, to my future children and grandchildren someday. (See my first post, What Made Me Decide To Start My Own Travel Blog). One of my hobbies by the way is playing musical instruments. I’m a musician at heart, and I guess it runs in our blood. I play drums and guitar, but my favorite is playing keyboard. I also love doing travel videos, and I’m into photography as well. So I will try to insert both of that passion in this blog. Yeah, the fullness of traveling experiences cannot be complete without sharing them to others. Was that taken in Kalanggaman Island? I could’t agree more. 🙂 Yes, that picture was taken in Kalanggaman Island, I think 8 months ago. Will write about my travel in Tacloban soon. I have a lot of stories to tell. Hindi pa eh. My friends did last summer, di ako nakasama. Mas developed na sya ngayon. Maganda na mga CR at may tree house na din yata. Visit mo sir, maganda sya. You can go there either via Cebu or Tacloban. Ang pagpapakita mg talento sa pgtugtog, pggawa ng musika, pgsusulat, pgvivideo ay hindi lng ngva-validate na nkakatulong ka sa mga tao, ina-affirm mo din na proud ka na maging anak ng Diyos dahil sa talents na binigay Nya. Your dreams will come true. Amen to that. I love the tagline.. looking back to memory lane decades from now, WP got you covered. Ma-a-amazed ung next gen, worth of all your labor of love in your posts. Salamat sa follow sir! Cheers to more awesome travels! Oo yan sir, tiwala lang. Dahil walang imposible!